If you are a fan of good music and also love the refreshing beauty of nature, get ready for a special sensational music festival right in the heart of a pine forest. Bringing the best of both worlds, the Forestra Music Festival will be staged on Saturday, 15th September 2018 at the Cikole Orchid Forest, in the hills of Lembang just at the outskirts of Bandung in West Java. The concert will feature cross-genres and cross-generations musicians. Those in the lineup are the Bandung Philharmonic Orchestra, Doel Sumbang, Juicy Luicy, The Groove, Monita Tahalea, Pusakata, Teza Sumendra, and Tompi. Moreover, musicians will perform on a specially designed stage set with state-of-the-art lighting and sound systems. Recently opened on 24th August 2018, the Cikole Orchid Forest is the latest addition to the many splendors of Lembang on the mountainous region near Mount Tangkuban Perahu. 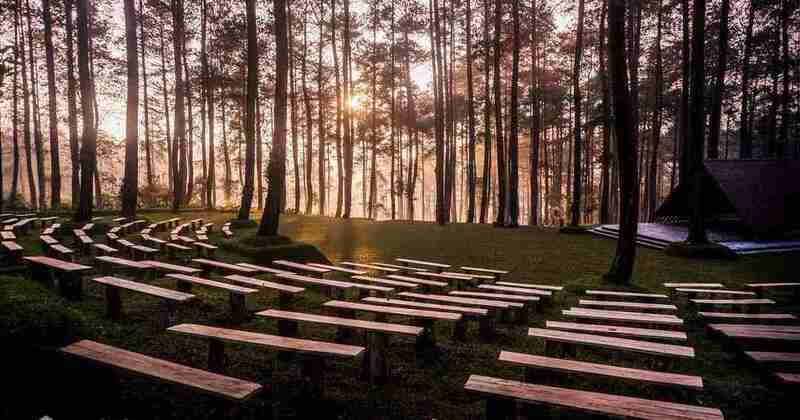 Located about 5Km from Alun-alun Lembang (Lembang’s Square) or some 45 minutes from Bandung and 3-4 hours from Jakarta, the Cikole Orchid Forest is blessed with a cool and refreshing ambiance of nature decorated with rows of pine trees, amazing instagrammable photo spots, and obviously a wide collection of orchids. Aside from these, the resort offers many exciting activities to enjoy, among which sliding down the flying fox, and crossing the wooden bridge that hangs some 23 meters above ground.